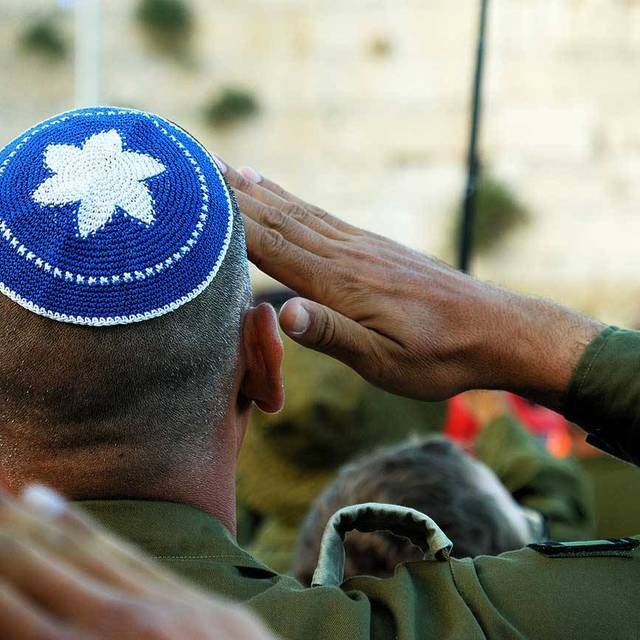 US cuts all Palestinian refugee funding, IDF draft dodgers get a holiday break, and more. The U.S. cut all funding for Palestinian refugees, but Israeli Defense officials want to find replacement funds, IDF mandatory service dodgers get a break for the holidays, and new archeological finds include an ancient convent on Hannah’s grave. At the close of last month, the U.S. announced an end to all financial contributions to the U.N. Palestinian aid group, the UNRWA (United Nations Relief and Works Agency), citing their broad definitions of refugees among other issues. The majority of the funding for the UNRWA came from the U.S., so a complete cut off of funds may lead to a total shutdown of the organization. That is something that some Israeli officials are hoping to prevent, saying that a total shutdown would worsen the humanitarian crisis in Gaza and may lead to war, according to Ha’aretz. The UNRWA was created in 1949 and serves 5 million registered Palestinian’s including the original refugees from the 1948 and 1967 wars and their descendants. Originally created to provide jobs and public works, the organization expanded over the years to include social services, health services, education and more. It is the only UN refugee mission designated for a specific region or people’s group, and controversy developed regarding use of funds and over the question of counting the descendants of war refugees among the refugee count. That issue is one of the driving factors that led the Trump administration to cease all funding shortly after an additional $200 million cut to funds going to the West Bank and Gaza. These cuts are rattling some Israeli officials. Ha’aretz reports that Israeli Defense Officials met last week and determined that Israel must come up with an alternative to the aid program or face a sudden and major deterioration of already dismal conditions in Gaza. The Israel Defense Forces warned that if the UN agency’s Gaza operations cease without an alternative, an escalation in violence is nearly inevitable because Hamas will be able to direct the blame for the impending humanitarian crisis on the U.S. and Israel. In an early effort to find that alternative, an Israeli delegation is expected to lobby with other donor countries to help cover the money lost by the U.S. drop out to prevent total collapse of aid infrastructure that thousands of Gazans rely on. 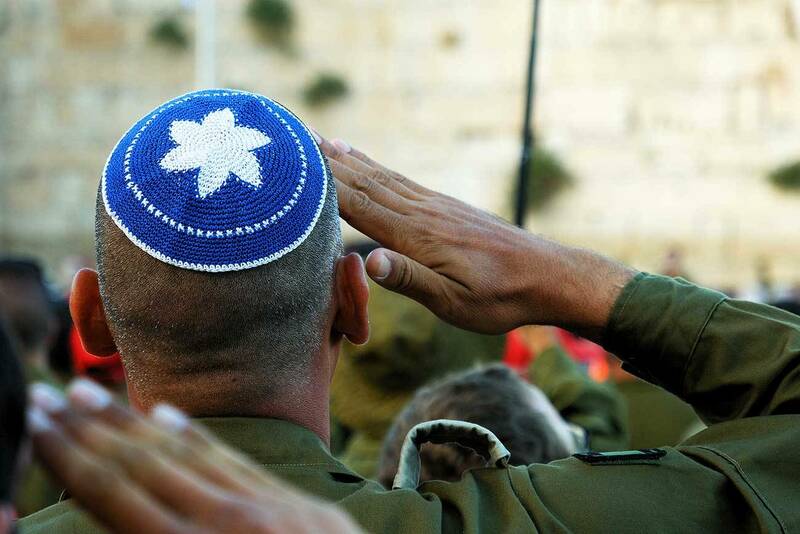 A present to Israel on its 70th anniversary: all draft dodgers and deserters from Israel’s mandatory services will be welcomed home during the fall holidays (Rosh Hashanah through Sukkot) with no fear of arrest. Last week’s announcement from the IDF Spokesperson detailed that the lax enforcement is indeed for Israel’s anniversary and will only be in effect from Sep. 9 - Oct. 31, according to Ha’aretz. Specifically, the period of amnesty allows Israelis overseas who have not served in IDF, but are supposed to, to visit until the end of October, while reservists who refused call-up will have criminal charges waived. Israel has compulsory military service for nearly all of its citizens, even those who leave at a young age and live abroad - a duty that prevents some young Israelis from ever returning. More than a chance for draft dodgers and deserters to visit home without looking over their shoulder, the respite is also an opportunity to clarify their legal status with the IDF. They won’t be arrested, but they won’t exactly get away clean either. “A soldier who presents himself at his unit or at a Military Police base from today [September 9] through October 31, 2018, will be disciplined and no criminal action will be taken against him,” the IDF Spokesman’s Office said. Ordinarily these individuals would face criminal charges in court. It is not entirely clear what the alternative “discipline” will be. The Times of Israel notes that the army offered a similar chance earlier this year to celebrate Israel’s 70th Independence Day, and dozens of people took advantage of the deal to sort out their status. A ceasefire deal agreed upon between Israel and some Palestinian factions brought a shaky respite to the daily rocket barrages and airstrikes, but the weekly protests on the Gaza border have continued resulting in dozens wounded and some dead this weekend. Hundreds of Gazans rallied at the usual locations near the border fence in protest on Saturday, the more violent clusters going so far as to hurl hand grenades and explosives at Israeli soldiers guarding the fence, reports Ha’aretz. The IDF said they responded using riot control and live fire. In Friday’s clashes, three Palestinians were killed from Israeli bullets including a 11- or 12-year-old according to an Gaza Health Ministry initial report. Conflict is mounting regarding that report, however, after the IDF said they had evidence that the young victim was killed from a rock to the head thrown from behind rather than Israeli bullets, according to Arab News . If that is the case, it isn’t the first time the Hamas-run Gazan health ministry misled the public. The ministry also removed from their official death toll an infant that they had reported as being killed by Israeli tear gas, after the Associated Press revealed that the child had actually died from a pre-existing condition. Last weekend, thousands of Gazans gathered to protest the ongoing blockade imposed by Israel and Egypt in response to Hamas control of the strip. Rocks were thrown, and Gazans advanced toward the border fence to be met by tear gas and live-fire as they have since March. Reports say nearly 100 were wounded and two teenagers were killed. One succumbed to wounds Saturday morning sustained on Friday when he was shot after throwing a rock and advancing toward the fence while waving his arms. The entire incident was captured on video and is under investigation by the IDF. The total death toll from the border protests since March is 178. Last weekend, the Israeli military also identified and repelled four people attempting to cross into Israel from the northern Gaza strip allegedly carrying a knife and a hatchet. A grenade was also thrown, so the IDF retaliated by striking Gaza observation posts. Recent archaeological finds in the Holy Land include swaths of ancient relics submerged atop the “Leviathan” gas field and the earliest convent in Israel. Construction of a pipeline intended to help tap the Leviathan gas reservoir off the coast of Northern Israel has slowed after fields of artifacts were discovered underwater. The Israeli antiquities authority is working with the energy company to find and preserve what they can. “There is no way that you can check all the hundreds of kilometers of pipeline. We know only that for a thousand years, 5,000 years, shipwrecks are laying out here. If one sunk every year, there must be thousands of them. Here in the site of a football field we found already 28, so who knows how many more under this region,” a marine archeologist told the PBS NewsHour. The artifacts which lay off of Dor Beach date back to the Phoenicians and indicate the presence of a large trader’s port. Much further inland, another discovery with spiritual weight has been revealed - experts are calling it the earliest convent in Israel. Archeologists first found a cemetery atop a low hill that was used exclusively for women and girls and dating back to early Byzantine Christianity. Near the graveyard, archeologists have identified the ruins of the convent which they say was built on the grave of Hannah, the mother of Samuel. This discovery reveals the reverence early Christians had for Hannah, another example of divine intervention in the birth of a child. Read more about this find here.